Order your Faber-Castell Ambition Coconut Ballpoint Pen today from FahrneysPens.com. Fine Pens, Refills & Luxurious Gifts – great prices & fast shipping. Clean lines, attractive design and select materials have made the Faber-Castell Ambition Coconut Ballpoint Pen a success. The Ambition will win you over with its visual appeal and renowned quality. 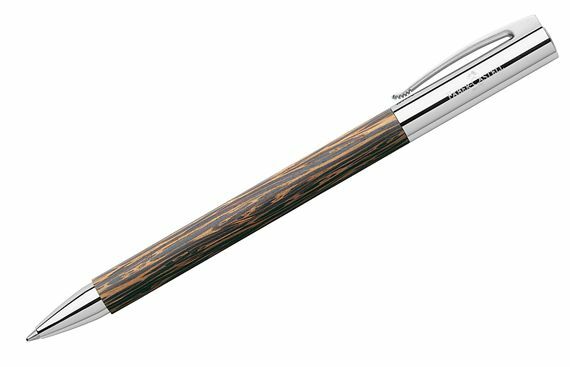 This ambitious pen is sure to find its way into your daily writing instrument rotation. 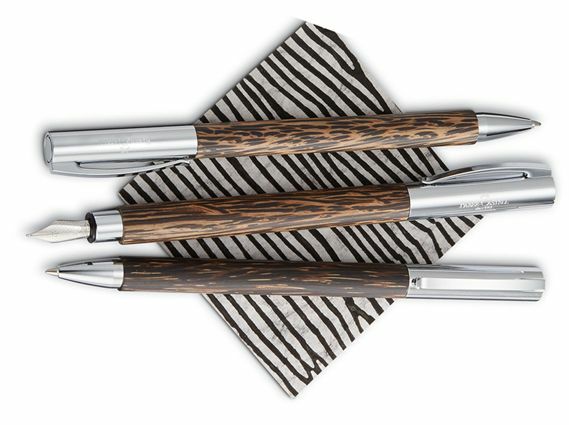 The distinguished Faber-Castell profile is now cast in rugged, natural coconut wood. Naturally beautiful and sustainable, this wood is a handsome mix of nut brown hues with a textured surface that is polished for smoothness. With gleaming chrome-plated metal nose and end piece, the Ambition Coconut ballpoint pen makes each day writing experience a joy. Ideal for business or pleasure, the Ambition covers all of your handwriting needs. The chrome-plated cap features a curved, spring-loaded clip that holds the Ambition firmly in your pocket. The pen is activated with twist-action and makes a perfect gift. Pen Size and Weight: 5 5/8 x 1 1/4, 1.4 oz.